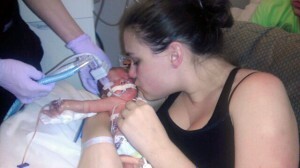 On April 13, 2012, I had a gorgeous little girl named Nicolette, 6 weeks early. She was born with a couple of medical problems, so they called in the lovely people from Akron Children’s Hospital Boardman location. They moved her from Warren to Boardman that day.